The educational and training programs at Harbor-UCLA exposes our residents, faculty, and community physicians to both traditional knowledge, as well as fostering scientific and critical thinking and implementing evidence based practices. There are weekly grand rounds which focuses on developing trends and techniques in the medical practice of anesthesiology. Monthly or bi-monthly Morbidity and Mortality (M&M) conferences allows our faculty, residents, medical students and other healthcare providers to analyze and discuss the patient’s outcome including factors leading to the complication and/or mortality, opportunities for systems improvement, patient safety or communication problems, ethnic or ethical issues, what the resident would do different in his/her practice and references consulted for this case. 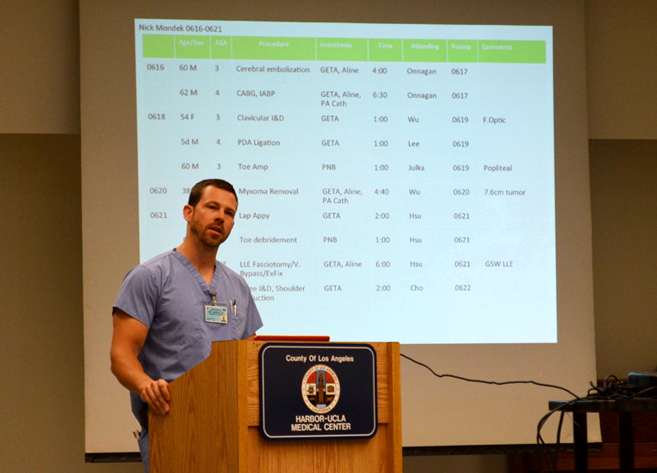 The residents’ Journal Club meets once a month, and discussions are had regarding new and pertinent articles appearing in peer-reviewed journals. Several other subspecialties (pediatrics, obstetrics, critical care, and pain management) have their own informal lecture series. The didactic sessions at Harbor-UCLA are both rigorous and comprehensive. 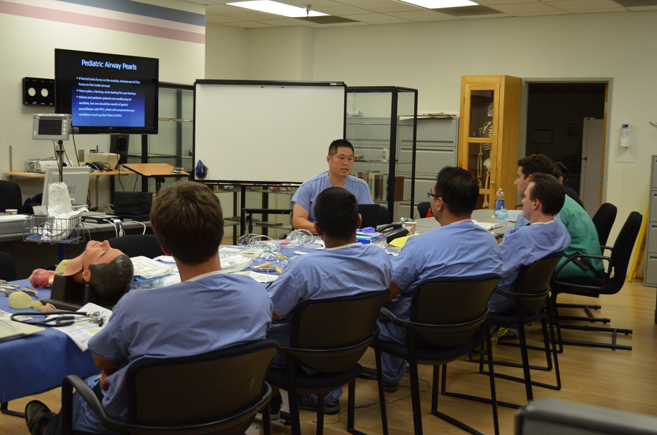 During the first month of residency in July, a special intensive CA-1 lecture schedule dealing with basic considerations in anesthesia is delivered on a daily basis. For the rest of the year, lectures are separated on the basis of class (CA-1, CA-2 and CA-3). During this protected lecture time, residents are given the opportunity to be exposed to and discuss pertinent topics in anesthesiology. Emphasis is placed on understanding key concepts as well as integration of knowledge into clinical practice. Below are examples of the yearly lecture schedule. Welcome to Our Incoming Anesthesia Interns!